Billionaire Warren Buffett On Health Care, Tax Cuts And A.I. At Berkshire Meeting : The Two-Way At what's become an annual tradition that some call a "Capitalist Woodstock," Warren Buffett held forth on a wide range of issues, including Wells Fargo's scandal, tax cuts and driverless cars. Berkshire Hathaway Chairman and CEO Warren Buffett visits the exhibit floor in Omaha, Neb., Saturday, where company subsidiaries display their products during the annual shareholders meeting. Repealing Obamacare is "a huge tax cut for guys like me"
When asked about the bill Republicans in Congress just voted to pass to repeal and replace Obamacare, Buffett signaled his distaste for a tax cut provision. Obamacare pays for health care for Americans in part by taxing wealthier people. The Republican bill scraps that tax on the wealthy. And Buffett has apparently done the math here. If the Republican bill had been law last year, he said, "my federal taxes would have gone down 17 percent last year, so it's a huge tax cut for guys like me." "That is in the law that was passed a couple days ago," he added. "Anybody with $250,000 a year of adjusted gross income and a lot of investment income is going to have a huge tax cut." In the past, Buffett has bristled at tax policy that he sees as favoring the wealthy — famously saying it's not fair that he pays taxes at a lower rate than his secretary. Buffett said at the meeting that health care costs have become a bigger issue for American businesses than taxes. He said if you go back to about 1960, corporate taxes were about 4 percent of GDP and now they're about 2 percent of GDP. At that time, healthcare was 5 percent of GDP and now it's 17 percent of GDP. "So when American business talks about taxes strangling our competitiveness," he said, "they're talking about something that as a percentage of GDP has gone down from 4 to 2." Meanwhile, medical costs have exploded. "So medical costs are the tapeworm of American economic competitiveness," he said. He argued against the tax system crippling competitiveness "or anything of the sort." He also noted that other developed countries appear to have found better ways to contain medical costs. Wells Fargo had a sales structure that clearly led employees to do bad things, according to Buffet. "But the main problem was that they didn't act when they learned about it," he said. "It's bad enough having a bad system, but they didn't act." Former Wells Fargo workers have told NPR that they called the bank's ethics line and the bank did nothing. Buffett's company ethics line is actively used by workers, he says, so he's sure that Wells Fargo got reports of wrongdoing. He said it's true that an ounce of prevention is worth a pound of cure, but "a pound of cure promptly applied is worth a ton of cure that's delayed. Problems don't go away." Wells Fargo responded to Buffett's remarks before the end of the day's meeting, saying in a statement that the bank has taken "decisive action to fix the problems." Wells Fargo also said it's created a new "Office of Ethics, Oversight and Integrity to centralize the handling of internal investigations, complaints oversight, and sales practices oversight." In response to a question about the impact of driverless cars, trucks and trains, Buffett said they'd not only be a threat to trucking and railroad businesses, but the insurance industry too. "If driverless cars became pervasive, it would only be because they were safer and that would mean that the overall economic cost of auto-related losses had gone down and that would drive down the premium income of Geico," Buffet said referring to the auto insurance company owned by Berkshire. "Autonomous vehicles widespread would hurt us." But, he added, "I think they may be a long way off." 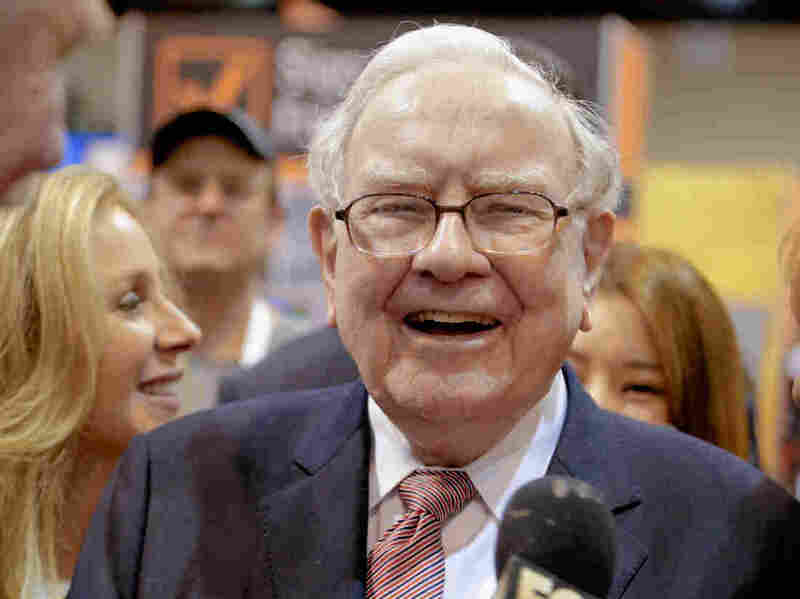 When asked about reflections and lessons learned in his long life, Warren Buffett referenced Charlie Munger, the 93-year-old vice chairman of Berkshire Hathaway, who says, "All I want to know is where I'm going to die so I'll never go there." But on a more serious note, Buffett says he's gotten a lot of joy in life out of teaching other people things. So, he said, if people remembered him as being a good teacher, he would be OK with that.